Taho is a delicious Filipino delicacy made with soy bean pudding or tofu, arnibal (sweetener), and sago or tapioca pearl. The beauty of this dish is it can be can be dessert, breakfast or even a snack. Everybody in the Philippines grew up with taho. Every morning at 5 or 6, a country vendor waking everybody up shouting “tahooo,” can still be heard. It is really nice to start the day by having a warm taho breakfast. Today, taho is also served cold and comes in different flavor such as strawberry and black berry. 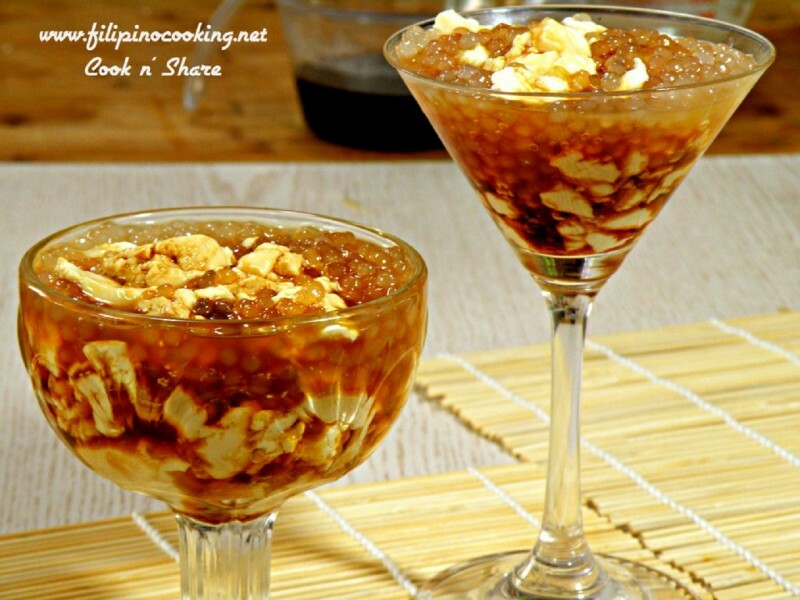 You can make taho from scratch using soy beans or soy bean powder. 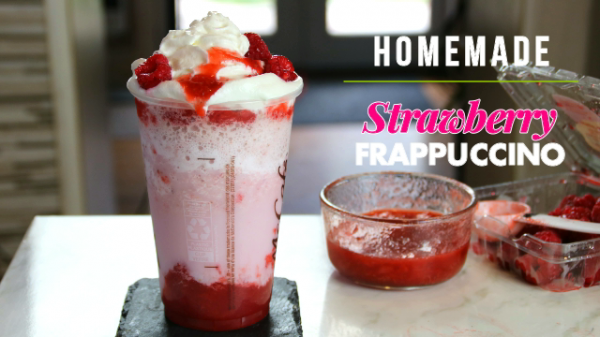 In this recipe, we make it easier and simpler. We use extra soft soy beans in a tube which is usually sold in grocery stores. But if you really want to make an effort, grind the soy beans making them into a powder. If you anything like me, I’m sure you have really missed taho. Make this today and enjoy. Place sago in boiling water and cook until transparent. Stir constantly to avoid sticking to the pan. When sago is cooked, drain and set aside. Place the brown sugar in a saucepan and allow to caramelize over low heat. When sugar caramelizes, pour in water, vanilla essence, and stir well until dissolved. Turn off heat. Allow to cool and set aside. Place the extra tofu in a preheated pan. Allow it to sit over medium low heat until some extra water cooks off and tofu is warm. Alternatively, put extra tofu in mug and heat in oven until warm. When tofu is warm, top it with cooked tapioca pearl and arnibal. Add more arnibal to sweeten. Slightly stir and serve warm or cold. Enjoy!